I've always been a big saver, I like hoarding money ... my husband calls me a leprechaun (lol). But I do know that just saving money isn't good enough (especially with our savings account type interest rates). So I've been looking at savings plans with better returns and which include life insurance policy. Zurich International Life is part of Zurich, one of the world’s leading insurance groups, and one of the few to operate on a global basis.Vista is a regular savings life insurance policy that provides you with flexibility and access to a wide choice of investment linked policy sub-funds (ILP sub-funds). 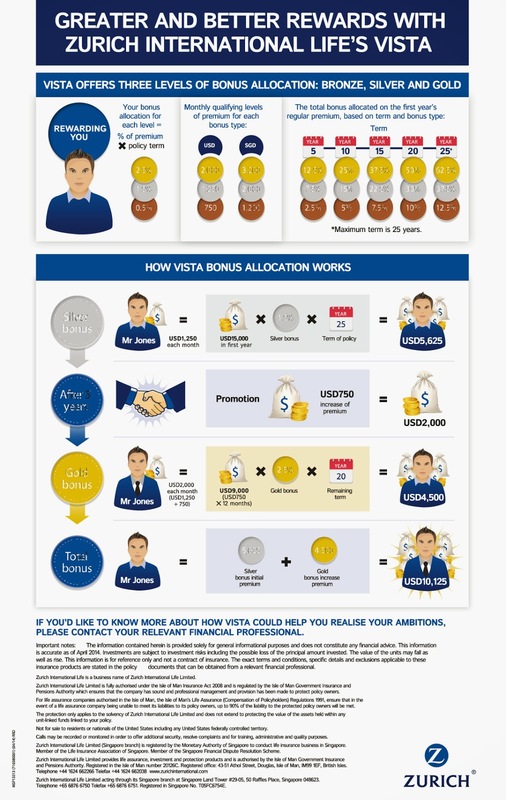 For more info check out Zurich Vista.